Laser Scanning, or LiDAR (Light Detection and Ranging), is a technology used to take extremely accurate measurements by measuring distances with a laser. Laser scanners, like Doster’s Faro Focus 3D laser scanner, are LiDAR devices that take hundreds of thousands of measurements every second to generate point clouds of existing buildings. A laser scanner produces a “point cloud” consisting of millions of points that together produce an accurate, three-dimensional representation of your building. 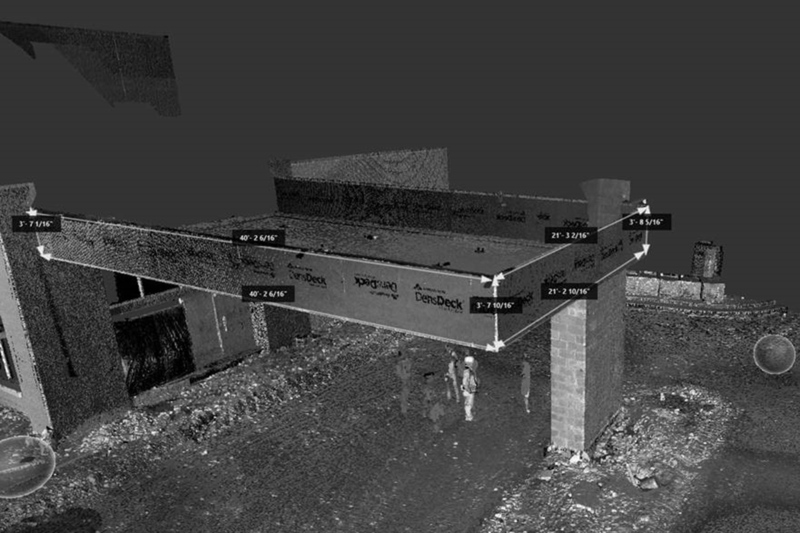 A point cloud can be imported in all of the major BIM/CAD packages for accurate measurements and quick as-builts. Doster primarily uses point clouds for communicating with design teams, coordinating in existing spaces, creating as-builts, and analyzing spaces. On a recent project we received some new scar tissue from field measurements and the fabrication of metal panels on an exterior canopy. Fortunately, we were able to correct the issue without any schedule delays or effects to the quality. This was also the catalyst to perform 3D laser scanning on a later, similar project to avoid the same scar tissue. We are currently in progress on the Novant Health Rehabilitation Hospital of Winston-Salem. The canopy on the hospital was similar to our past experience, and we proactively performed the laser scan to avoid any potential issues or delays. We worked with our trade partners and performed the scan after everyone was off-site to protect equipment from the dust that is kicked up on an active construction site. The scans were stitched together and we analyzed the as-built structure the following day. 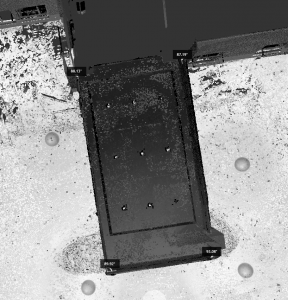 The resulting point cloud is accurate to the millimeter. Not only are the measurements extremely accurate, we avoided any potential risks of working off ladders on unlevel ground. In addition to the standard measurements that are typically pulled, we were also able to see how square the canopy was constructed to the structure. Through laser scanning technology we enhanced quality of the project, avoided material issues and delays and avoided potential risks to our team and trade partners.